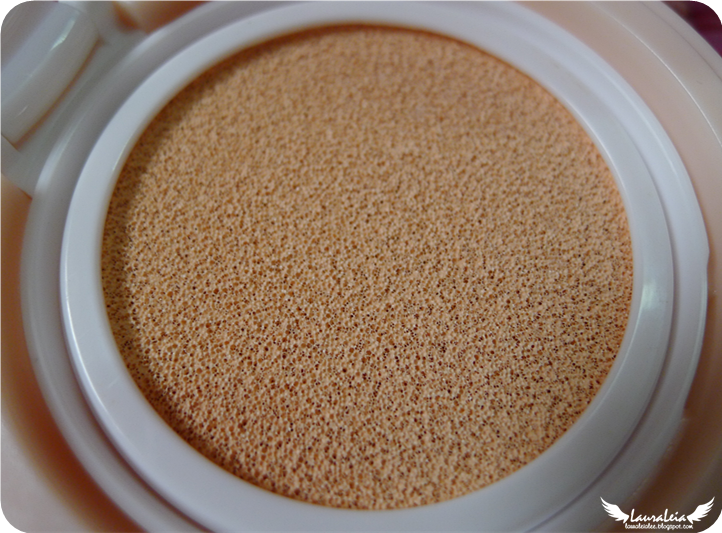 You might have heard whispers and rumours about this product. You might have seen the teaser video and photos. 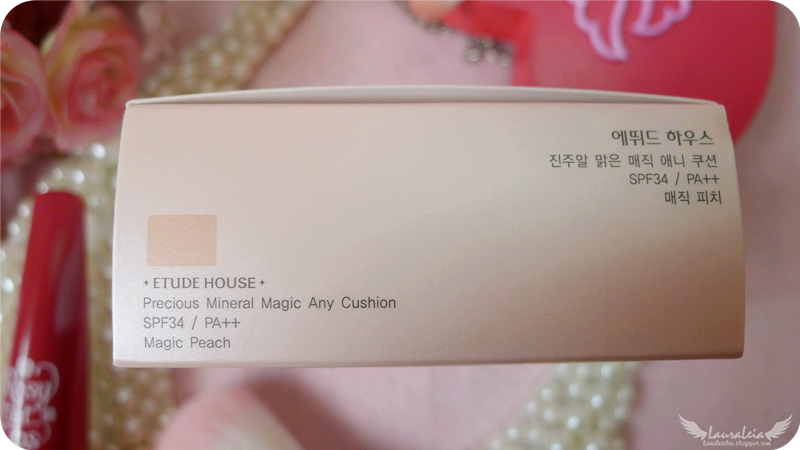 Well, come tomorrow March 1, Etude House's newest offering and addition to the Any Cushion range will be officially launched. It's none other than the Magic Any Cushion! The shade I received to test (I was lucky enough to be randomly chosen via a Facebook event) was Magic Peach. 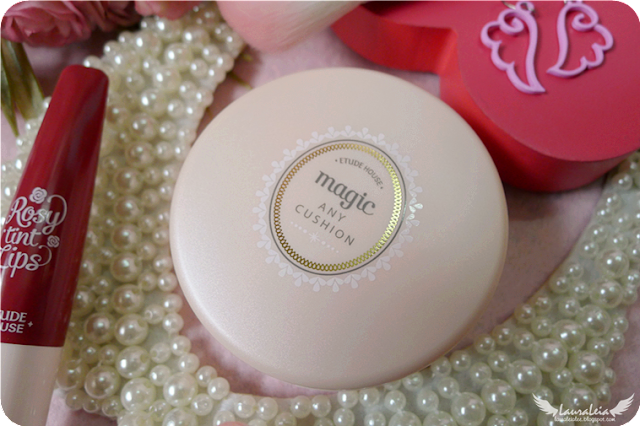 The packaging of the Magic Any Cushion is similar in size and shape to the Precious Mineral Any Cushion. 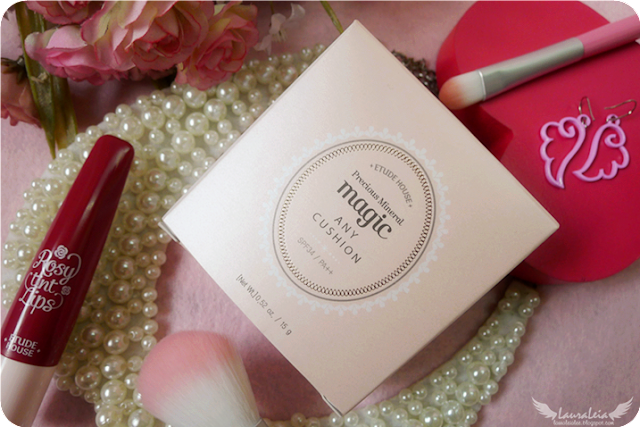 However, unlike its predecessor, the Magic Any Cushions are colour coordinated, whereby the Magic Mint compact will be mint-coloured, Magic Pink will be pink, and Magic Peach will be peach. 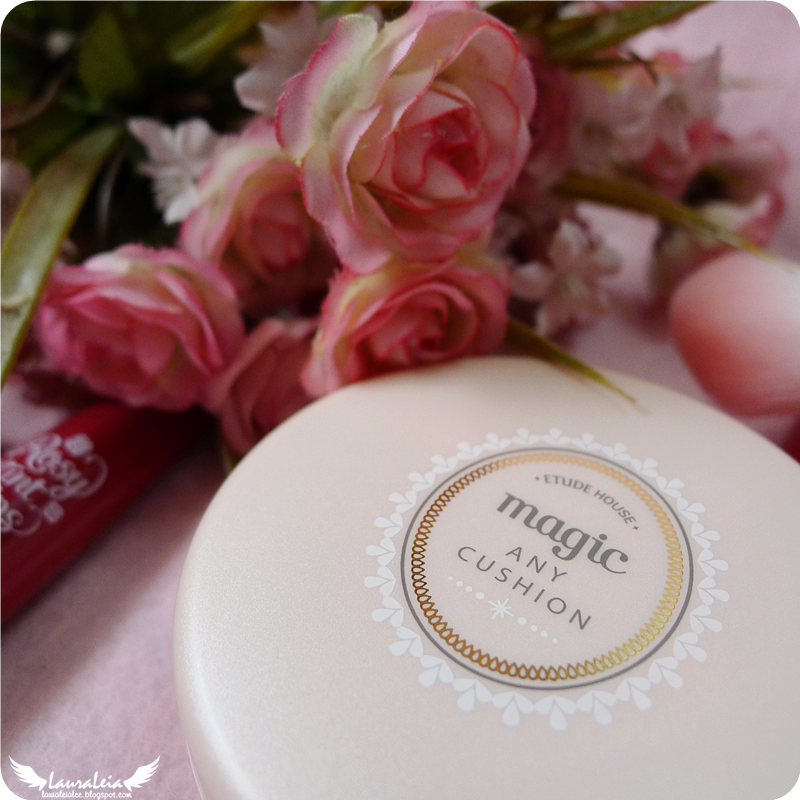 The Magic Any Cushion has an oval pattern with the product name printed on it, and the top half of the compact has a matte/satin finish, while the bottom half is shiny. Love the princessy logo design! The compact comes with a big mirror under the cover, which makes it super handy for traveling or touch-ups. 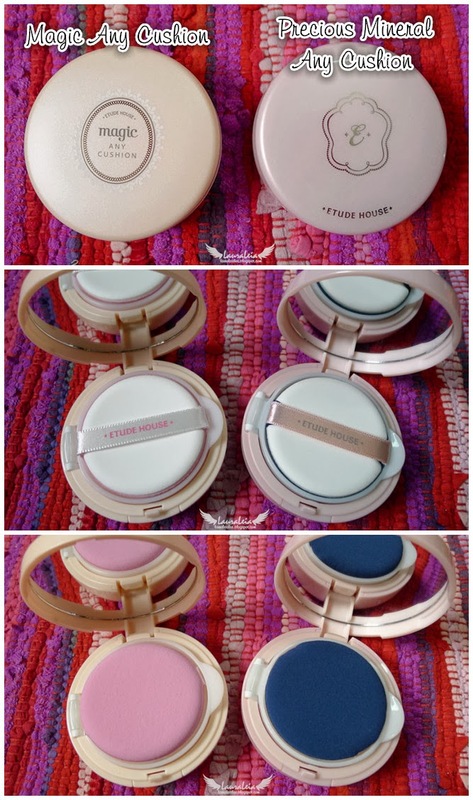 Despite its slightly bulky packaging, I like it because you can bring it for traveling without worrying about it spilling out and messing up your makeup bag. Also, no mess with your fingers since you pat it on using the puff! 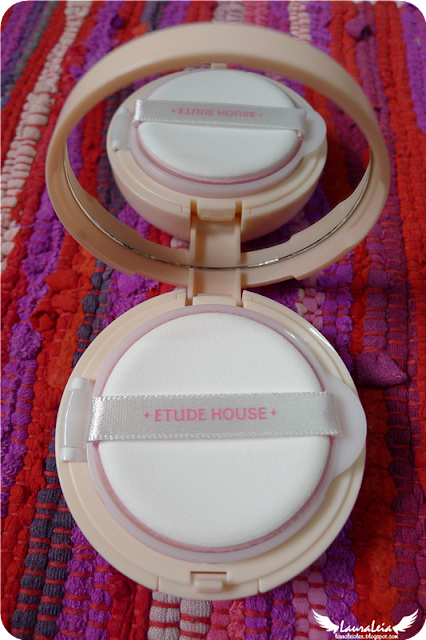 It comes with a special 'air puff' just like the BB cushion, but in pink instead of blue. 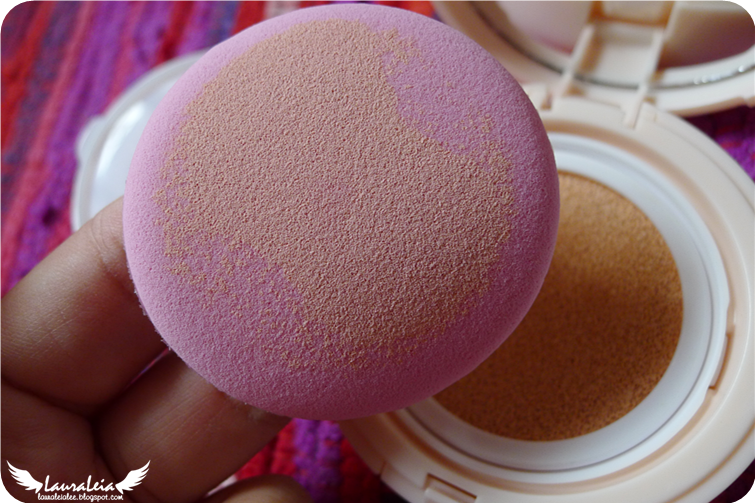 Pick up the product by pressing the air puff into the cushion, and gently pat it all over your face. 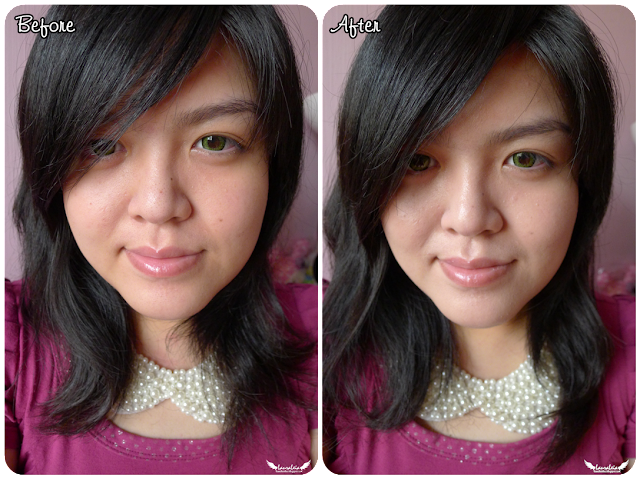 For me, 1 layer (maximum 2 layers) is enough to make my skin look dewy, brighter/whiter and more even-toned. 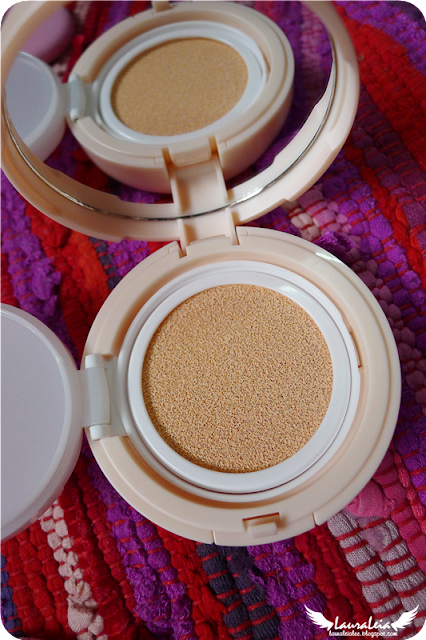 Since it has SPF 34, you can skip sun screen (in a pinch), and it acts very well as a base or primer for foundation or BB cream. 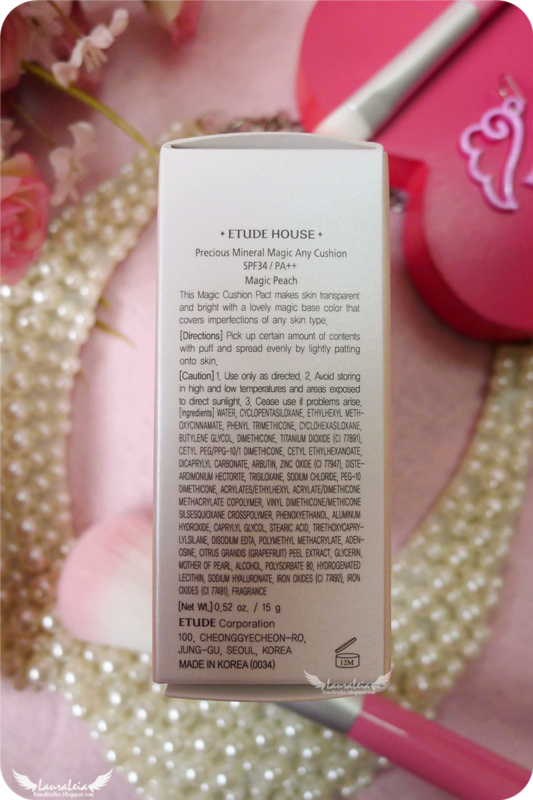 You're probably wondering what's the difference between the Magic Any Cushion and Precious Mineral (BB) Any Cushion, so here are some comparison pics. 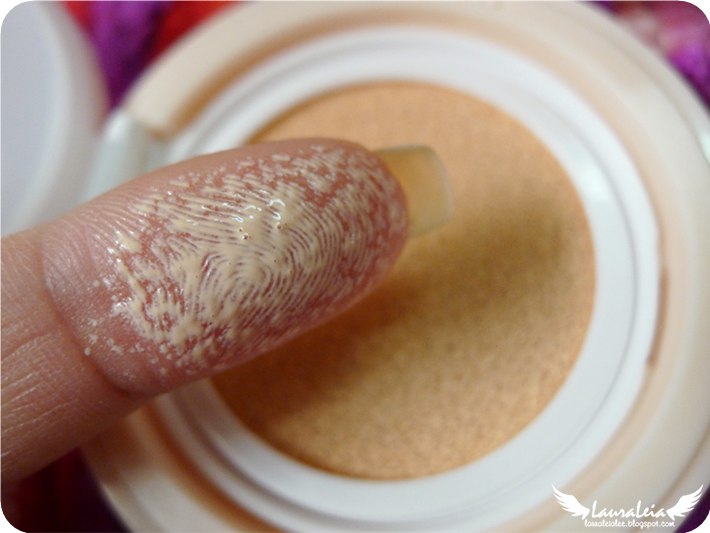 Would love to try this product in the future!! I have never try anything from Etude House but this review has piqued my interest. Thanks! Now I have the urge to get this in all three colours. 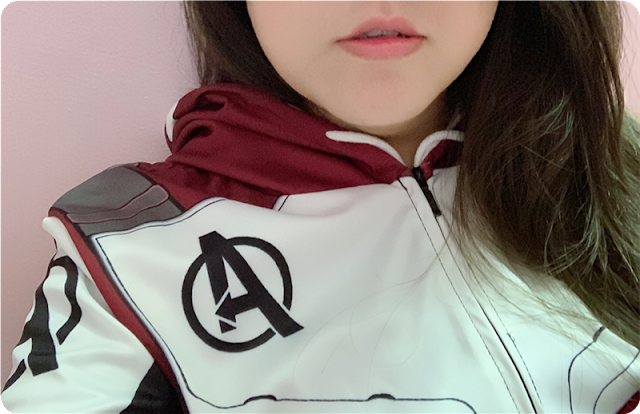 I always want it ALL! 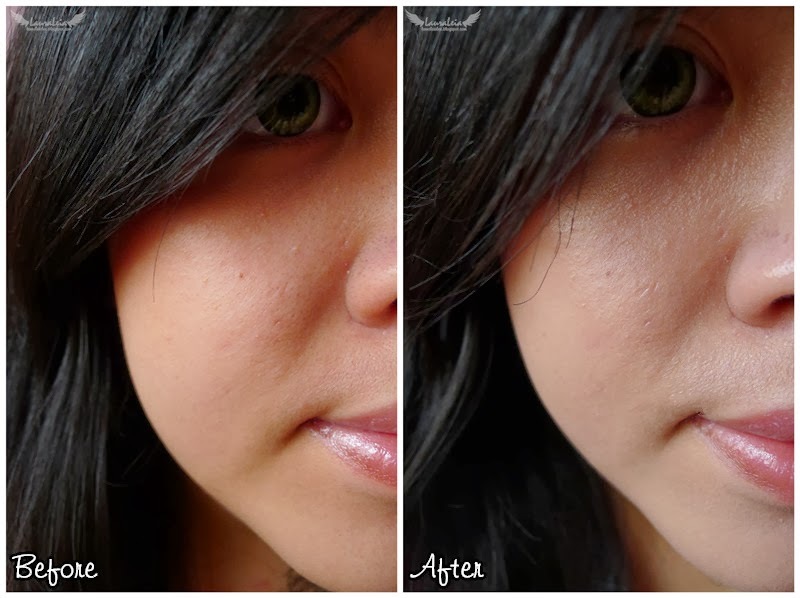 Great post with lovely comparison pics, Laura. I've never tried a wet cushion product before - will they dry out quickly? Will germs incubate? Will I go crazy if I miss out on these?! 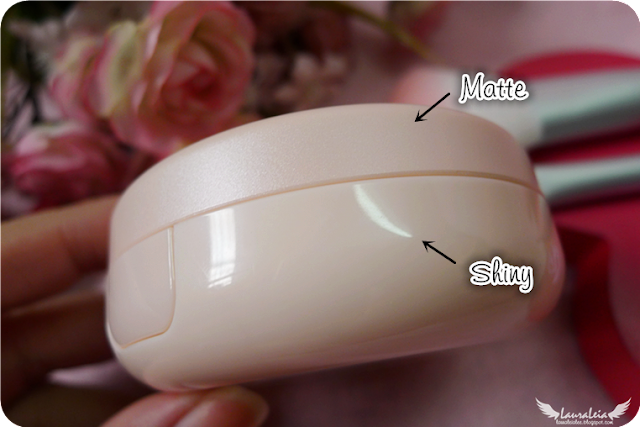 You always review the most funky products. ermmm it look pretty on ur face.. kinda suit u! but why the last pic ur cheek look so pink! Oohh.. Now, I don't know which to try first! I'm curious with the Magic Mint though. I hope it'll conceal the redness on areas of my face. 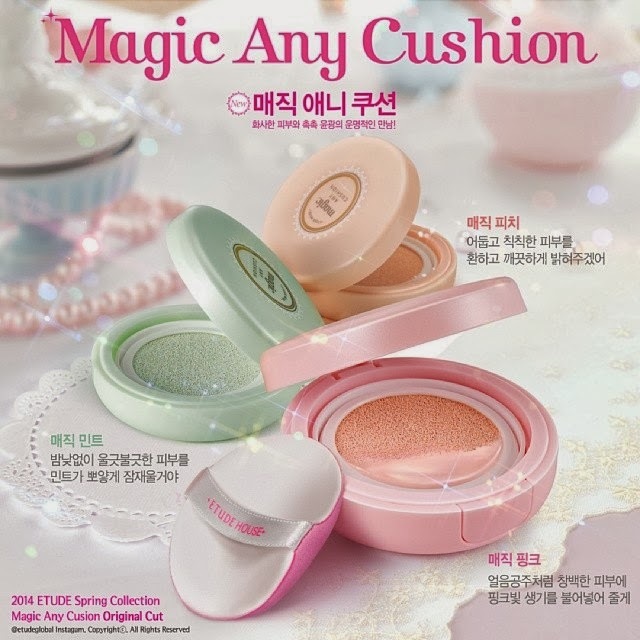 Btw, can we put any cushion refill into magic cushion case? Marie: If you want to conceal redness, I think the mint one would work well. :) Thanks for dropping by and leaving such a lovely comment! 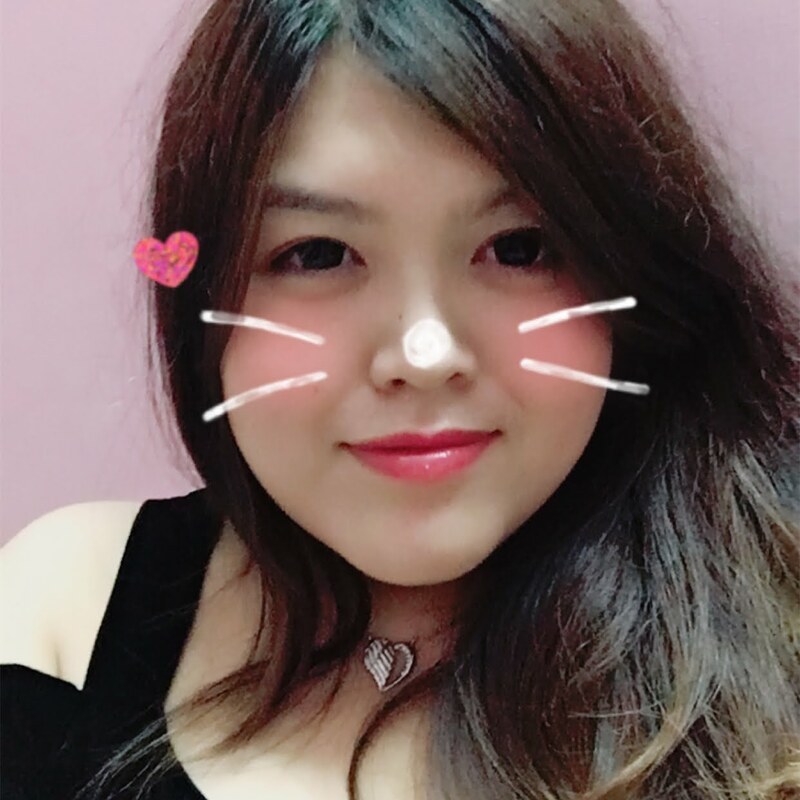 Lucky! 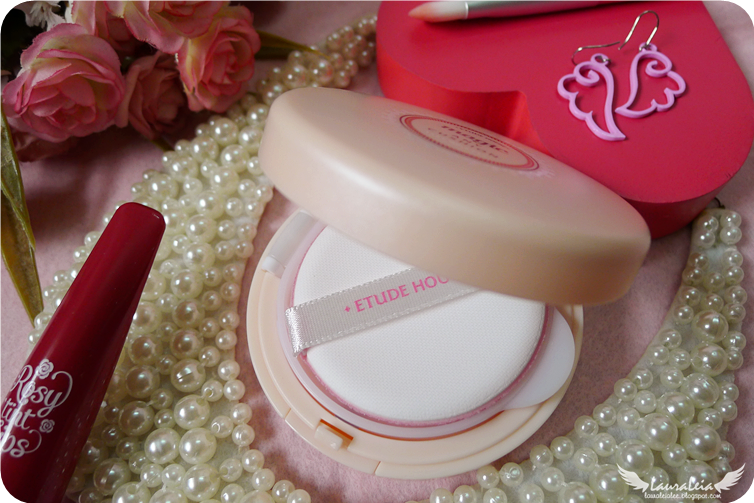 The advertisement is enough to tempt me though...*sigh* it's no good to see Etude's products since they released new product after a short time!